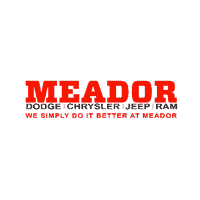 Have you been wondering, “Where is a new and used Dodge, Chrysler, Jeep, & Ram dealer near me?” Meet all your automotive needs at Meador Auto Group in Fort Worth, TX – serving Arlington, Rockwall, and Duncanville. We provide a complete car buying experience with our sales team, finance center, and service and parts departments. Come explore our huge inventory of new Dodge, Chrysler, Jeep, and Ram vehicles or shop affordable options in our used vehicle inventory. You can take your test drive at the dealership located at 9501 South Fwy, Fort Worth, TX. Have you been wondering, “Where is a new and used Dodge, Chrysler, Jeep, & Ram dealer near me?” Meet all your automotive needs at Meador Dodge Chrysler Jeep Ram in Fort Worth, TX – serving Arlington, Rockwall, and Duncanville. We provide a complete car buying experience with our sales team, finance center, and service and parts departments. Come explore our huge inventory of new Dodge, Chrysler, Jeep, and Ram vehicles or shop affordable options in our used vehicle inventory. You can take your test drive at the dealership located at 9501 South Fwy, Fort Worth, TX. Explore the new Dodge, Chrysler, Jeep, and Ram vehicles available at Meador Dodge Chrysler Jeep Ram in Fort Worth, TX – serving Arlington, Rockwall, and Duncanville – and find your dream vehicle today. Our Dodge inventory has all the popular models, including the Dodge Charger and Dodge Challenger. We also carry the functional Dodge Journey, Dodge Durango, and Dodge Grand Caravan. For impressive power, check out the stunning Dodge Demon supercar. For Chrysler vehicles, we have the Chrysler 300 sedan, Chrysler Pacifica minivan, and the Chrysler Pacifica Hybrid minivan. Get excited about your next adventure with one of our popular Jeep vehicles like the Jeep Grand Cherokee, Jeep Cherokee, Jeep Compass, Jeep Wrangler, Jeep Wrangler JK, and the Jeep Renegade. Conquer your day with a powerful Ram truck, such as the Ram 1500, Ram 2500, Ram 3500, or Ram Chassis Cab. Be sure to see our featured new vehicles online and schedule your test drive by calling us today! Meador Dodge Chrysler Jeep Ram in Fort Worth, TX – serving Arlington, Rockwall, and Duncanville – offers a great selection of certified pre-owned Dodge, Chrysler, Jeep, and Ram vehicles for you to drive home to your family. Each certified pre-owned vehicle has been properly inspected for quality and reliability, so you can depend on your purchase to meet and even exceed your expectations. View our certified pre-owned inventory online and shop for cars or trucks based on your preferences. Don’t forget to see our pre-owned specials as well. When you find the one you want, call to set up your test drive. There are plenty of used cars and trucks waiting to be explored in the inventory available at Meador Dodge Chrysler Jeep Ram in Fort Worth, TX – serving Arlington, Rockwall, and Duncanville. We feature used vehicles from multiple manufacturers, including our Dodge, Chrysler, Jeep, & Ram family of automakers. Shop for used cars based on your preferences here on our website, and see pre-owned specials and vehicles for sale under $10,000. We also have a CarFinder tool where you can give us your specifications, and we’ll handle the searching for you. Contact us to set up your appointment so you can drive home your used vehicle today. The finance center at Meador Dodge Chrysler Jeep Ram in Fort Worth, TX – serving Arlington, Rockwall, and Duncanville – offers professional assistance with securing new auto loans and used car financing. Our team can help you decide whether to buy or lease based on your lifestyle. We also offer more financial options than the bank with auto loan rates to fit any budget. Save time and speed up your car buying process with our online finance application. You can also calculate your estimated payments and get a KBB Instant Cash Offer on your trade-in vehicle. Call today to set up your appointment so we can finish up the paperwork and send you home in your new vehicle! Bring your vehicle into Meador Dodge Chrysler Jeep Ram in Fort Worth, TX – serving Arlington, Rockwall, and Duncanville – and receive top-notch service and auto repairs, as well as easy access to genuine OEM parts. Our dealership maintains a state-of-the-art facility to assist you with oil changes, tire rotations, brake service, and more. You can also shop and order genuine OEM parts for your vehicle and have them installed by our highly-trained technicians. View our service specials on our website before you use the convenient online form to schedule your next service appointment. If you have any questions about your appointment or ordering parts, call the dealership to speak with one of our professionals. Meador Dodge Chrysler Jeep Ram in Fort Worth, TX – serving Arlington, Rockwall, and Duncanville – wants to be your one-stop shop for all your automobile needs. We provide everything you need to complete the car buying process and feel good about your purchase. You’ll love our top-notch facilities and our dedicated staff members who stop at nothing to give you a fun, stress-free car buying experience. We simply do it better at Meador. Come visit us today at 9501 South Fwy, Fort Worth, TX, and see how we can make your vehicle dreams a reality.